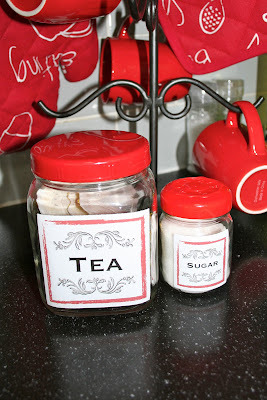 I have been dying to print some more vintage labels and add them to some cute glass jars. With my kitchen make over in full swing, it was the perfect opportunity. We rarely drink tea so its just for display purposes. 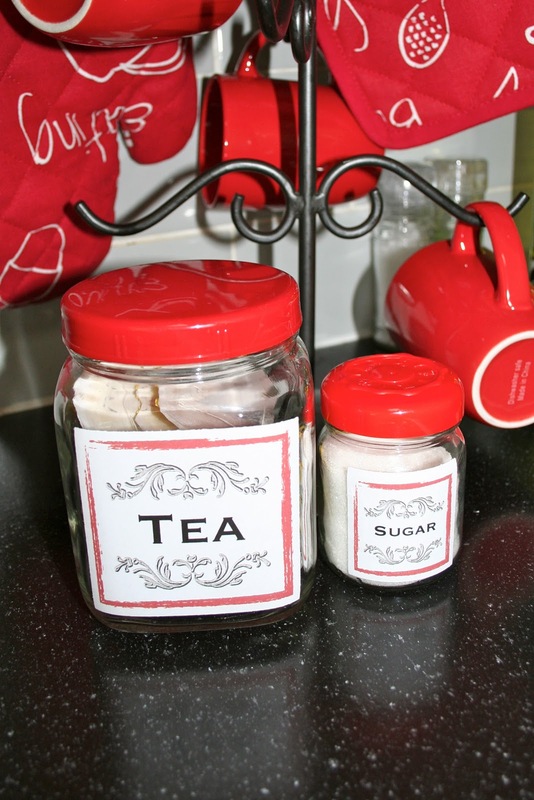 And we don't use sugar very often, so it gets put away in the cupboard and only brought out for visitors. I don't like the bowl anyway! Update - I now have my coffee jar and here is the complete collection!